Authorities in the West Midlands will be at the forefront of developing ‘innovative’ new transport schemes, as a result of Government funding. The region has been named the first of three ‘Future Mobility Areas’ and will receive £20m to invest in new technologies designed to make journeys ‘quicker, cheaper and cleaner’. The project will be lead by Transport for West Midlands (TfWM), who will work with companies to trial and demonstrate new modes of transport, services and technologies. This includes apps and projects to improve mobility – as well as developing car sharing, taxi, electric bike schemes and creating more infrastructure for electric vehicles. TfWM says the new technology will be used to allow residents to ‘travel seamlessly across different modes finding places to park their car before hopping on a bus, train or tram’. Commuters will also receive ‘real time traffic data’ to give ‘greater confidence of knowing how long a journey will take’. Andy Street, mayor of the West Midlands, said: “This is a sector where we lead the world. Autonomous vehicles are being tested in Birmingham, electric taxis manufactured in Coventry, and Range Rovers are sold around the globe. 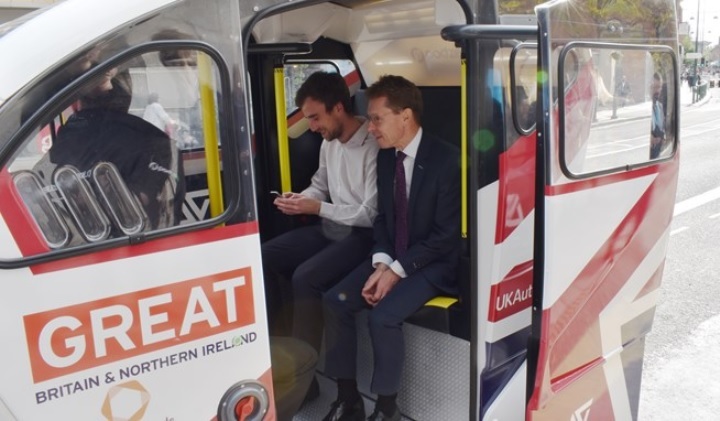 Chris Grayling, transport secretary, said: “Thanks to the fantastic work of mayor Andy Street, Birmingham is set to continue its upward trajectory as a cutting edge city that innovates and leads the world. “We will create an environment where new technologies and services can be deployed, giving passengers more choice than ever before.